UPDATE: Watch this short film about how 20 years of Photojournalism plays a direct role in how I photograph weddings now. 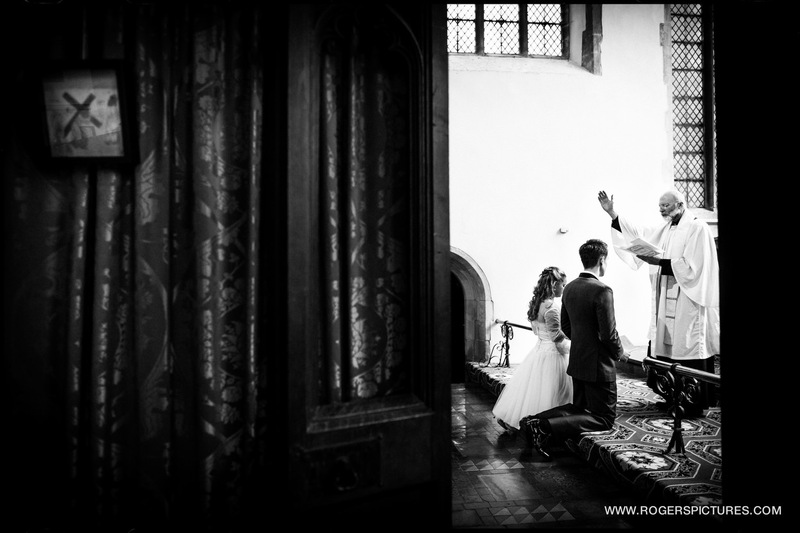 Documentary Wedding Photography is a style of photography which a small, but growing number of couples are turning to for their wedding day. Of course there have been photographers documenting life ever since there has been photography. 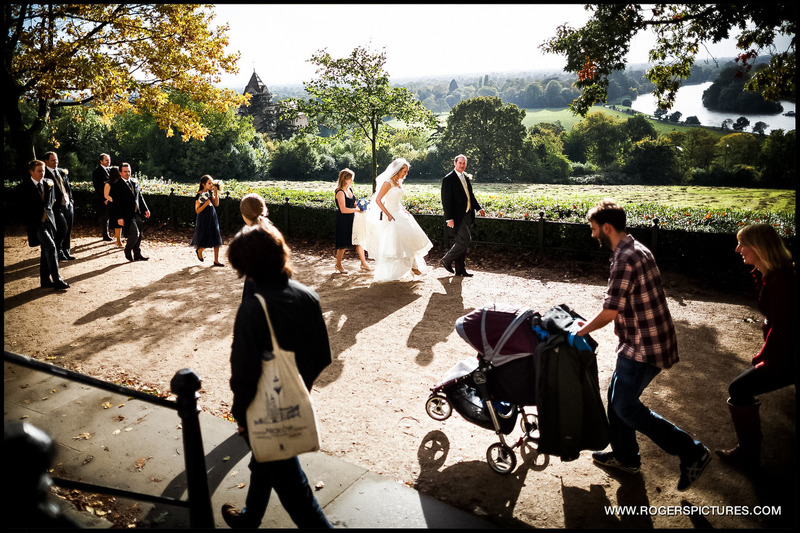 In the last 10 years or so, more and more couples have decided against the traditional style of endless posed group photographs and portraits, and are commissioning photographers who do not direct or pose people during the day. 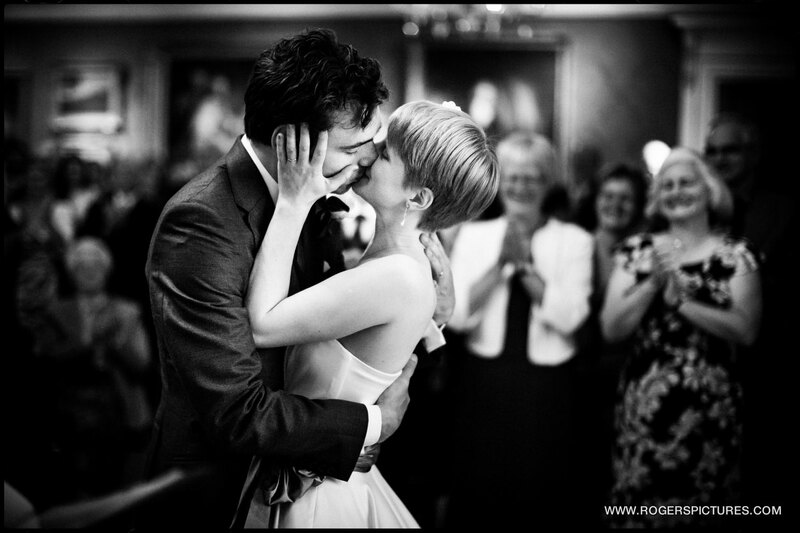 This style of wedding photography has attracted a fair number of news photographers and photojournalists, who have been doing exactly that in other areas of life. 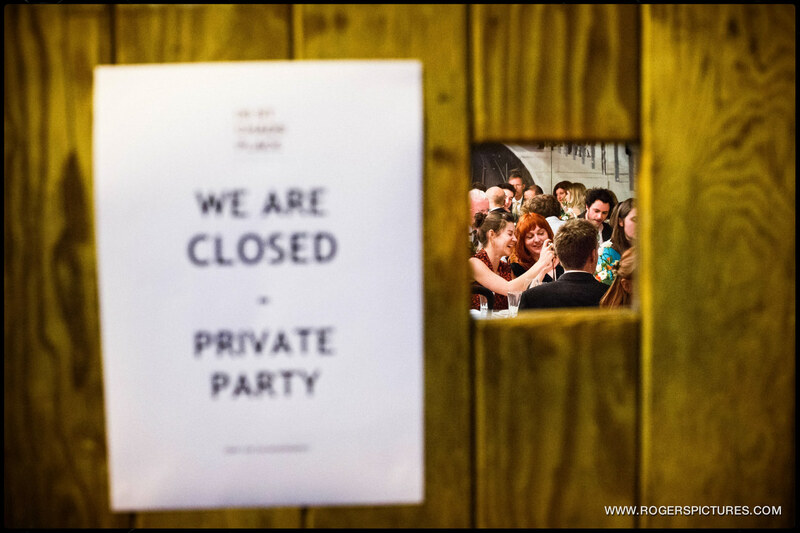 I’ve spent 17 years working as a photojournalist for The Times newspaper in London, and thought I’d post some pictures to illustrate how that experience has shaped my work as a wedding photographer. 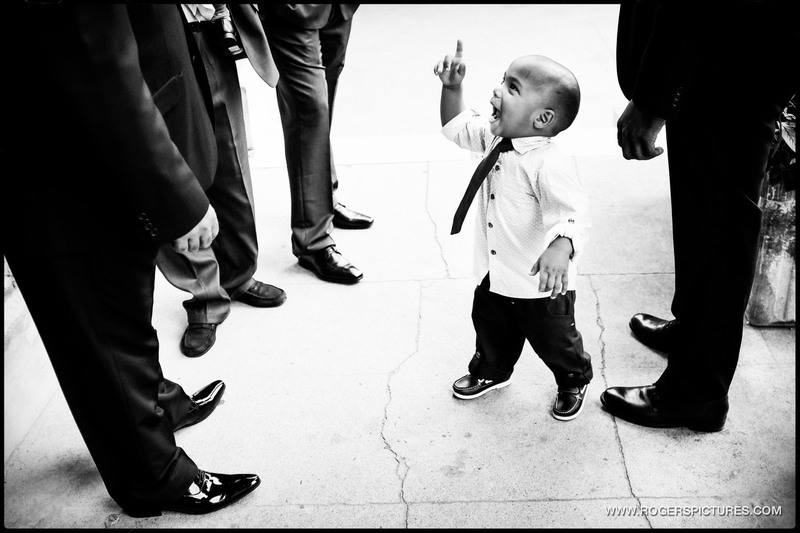 Here’s a few examples of why you might want to book a photojournalist for your wedding. 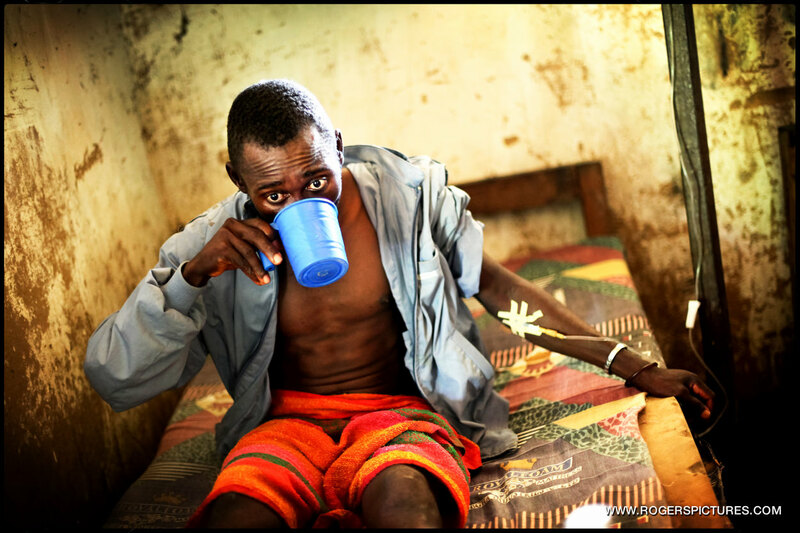 This image (above) is a health centre in a very remote part of DR Congo in 2010. I was there with a charity, Merlin, who fund and train staff at these centres. This guy has diarrhoea and had walked for 3 days to get treatment. He stumbled in while we were there talking to one of the doctors. They immediately gave him IV fluids. This is his first gulp of water for a couple of days. It’s a moment. Just like in a wedding, you have very little warning, it lasts a second or two, and if you miss it, it’s gone. This one is from Iraqi Kurdistan in 2003. I’d travelled there via Iran to cover the expected US invasion from the North. In the end that never happened – the Kurdish Peshmerga (freedom fighters) with the help of some special forces ended up driving Saddam’s army from the regional capital of Kirkuk. I spent a couple of months with the Peshmerger and this is one of my favourite images from then. This guy spends his days digging up old land mines. He then disassembles them and sells the explosive to local fishermen who use it to stun fish in the rivers and lakes. Pretty dangerous work. Here, he’s trying to recover an unexploded device that had fallen into the river. 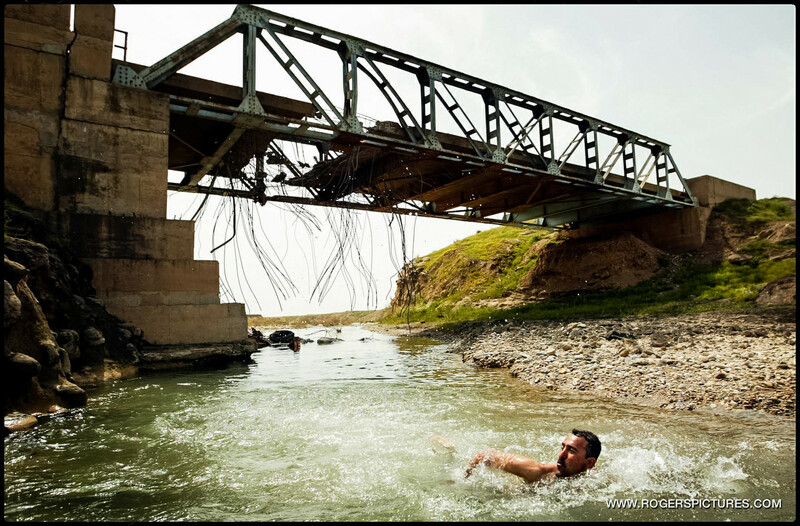 The bridge behind has been blown to try and prevent Saddam’s tanks attacking Kurdish villages. I was trying to sum up a small part of a pretty complex story in a single image – essentially what I try to do with a wedding now. 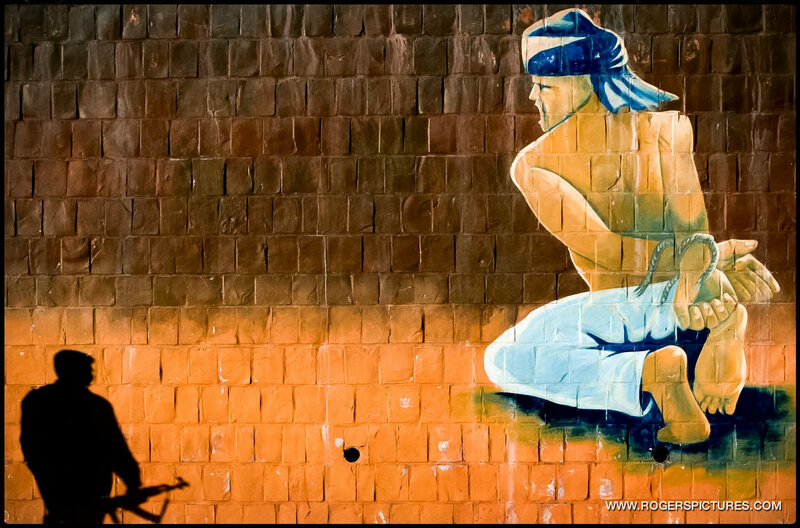 This picture from the same assignment shows a mural of a local Kurdish hero who had been tortured to death by Saddam. I’d spotted this and had this particular image in mind. I went back three times at sunset waiting for this to happen – it was a busy street, and there were a lot of armed men around, but it took a while for the image to come together like this. I could have set it up, but I didn’t. 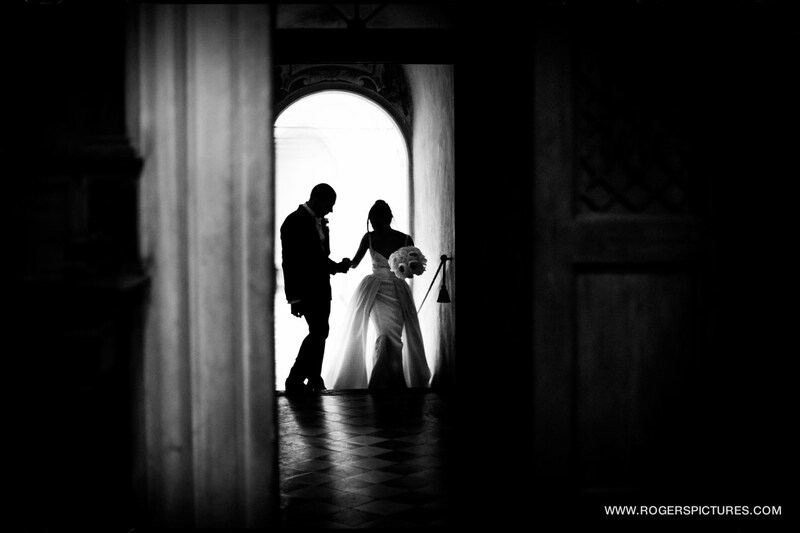 I get more pleasure in waiting for an image that works and is truthful, something else I try to do with a wedding as well. This is the Battle of Britain Lancaster taking off from RAF Coningsby before a Jubilee flypast in 2012. It’s very much planned – I knew what time it was due to take off. I drove around the airfield and found a great field of rapeseed right under the flight path, and knew I wanted this picture. I’d spoken to the tower, and knew which runway was in use, so set up and waited. I usually shoot RAW files, but had to use JPEGS so there would be no buffering. I pre focused, set it to about f/11 and a fast enough shutter to avoid blur, and lay the camera on the ground with a 16mm lens. I was going to hold the shutter down as the Lancaster approached, hoping the rapid frame rate would catch it at the right point. It was all looking good until I called the tower 15 minutes before take off and was told the wind had changed direction and it would take off in the opposite direction! I raced the 3 miles to the other end of the airfield and was able to find a similar spot just in time, but the plants were nowhere near as good here. Out of 15 frames, the Lancaster is in 3 of them, and only unobscured in this single frame. What do I take from this? 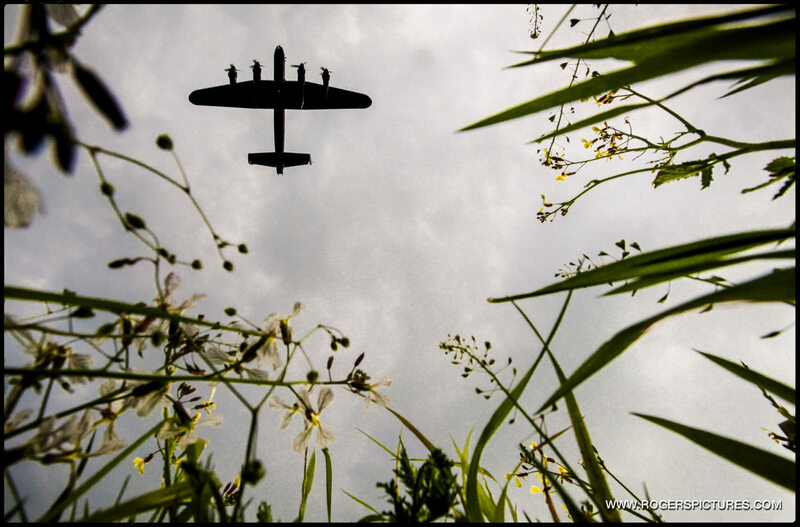 Well, that Lancaster has been photographed hundreds of times before, but I wanted a different view point. 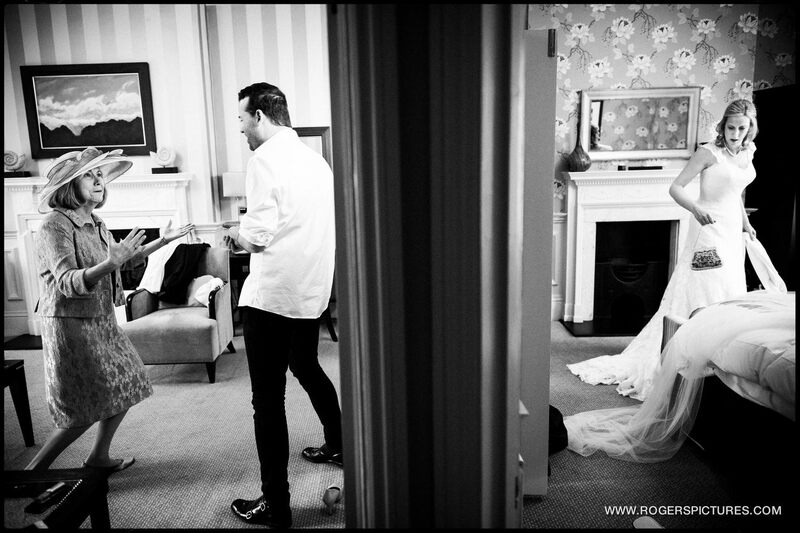 Looking for new and different angles, being able to surprise a bride and groom with an image, I suppose. One of my favourite pictures from my work at The Times – 1999, a Royal Navy Sea Harrier lifts off from HMS Invincible in the Gulf as part of four aircraft taking part in Operation Southern Watch over Iraq. Again, a pre visualised image. I went to the captain and sketched this image on a piece of paper. He said it would be impossible as they can’t have aircraft nearby during takeoff. But one of the sea king pilots suggested it would be possible if he kept above 1000ft. So we tried it. I’m lying on the floor in a harness, someone is sitting on my legs, and I’m speaking to the pilot over the intercom. He’s trying to maintain a hover at 1000ft, tracking a ship at 25 knots with no frame of reference except me saying ‘forward a bit, left, no back again…’ It’s shot on a 70-200mm with 1600asa fuji film pushed to 3200. I missed the first jet. The second and fourth weren’t directly over the ship. This is the third harrier, one frame – no motor drive. I didn’t know if the picture had worked. Three days later I got home at 10pm on a Sunday evening and was so excited to see if it had worked that I processed the film in the kitchen rather than wait until the morning. I ‘cooked’ it, dev temp too high and too much agitation! Thankfully I managed to rescue it in Photoshop. This is similar to the Lancaster picture in that it is totally planned – I knew exactly what I wanted. 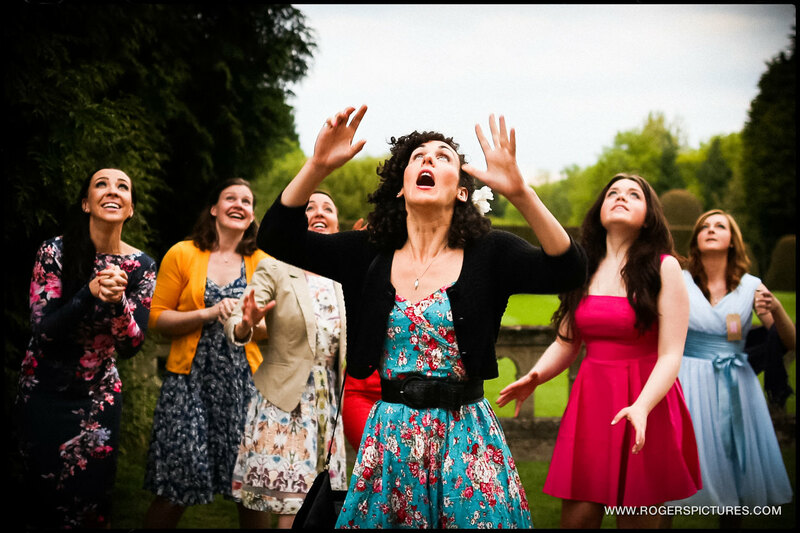 Though I do less of that at weddings, what I take from this is the simple composition. 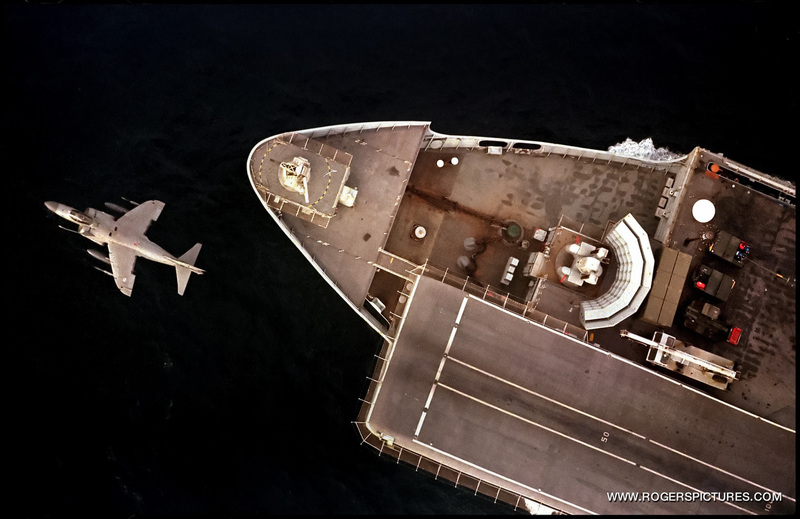 Using the leading lines and separation of the Harrier against the dark sea, and keeping the image clean and uncluttered. So here’s a handful of my wedding photos from the last year or so, where I’ve tried to use what I’ve learnt as an editorial photographer. I try to build context into my photography more and more, which is not something I have the luxury of with a newspaper where mostly only one image will be published. It’s usually printed at 5 or 6 inches, maximum, so wide, busy pictures with context just don’t work. 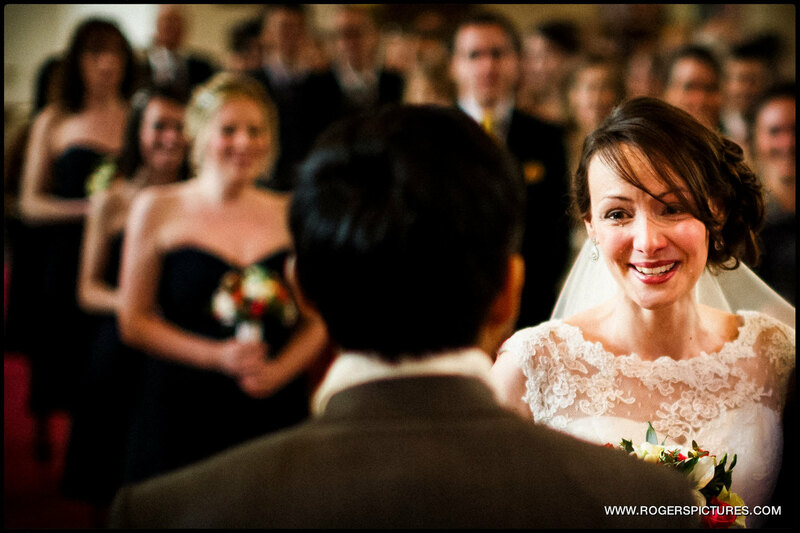 I’ve had to re-train how I see to shoot wider at weddings. 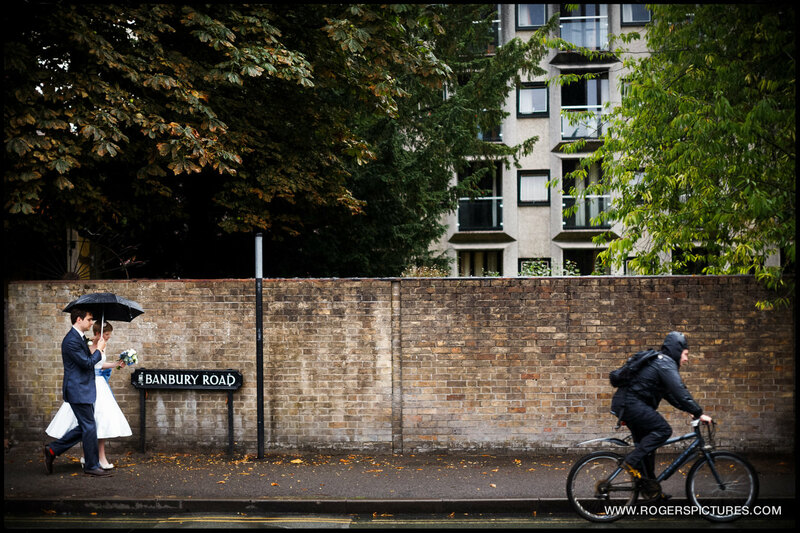 Curiously, it’s something that is starting to appear more and more in my editorial work now. I hope this has been useful for anyone choosing their wedding photographer. 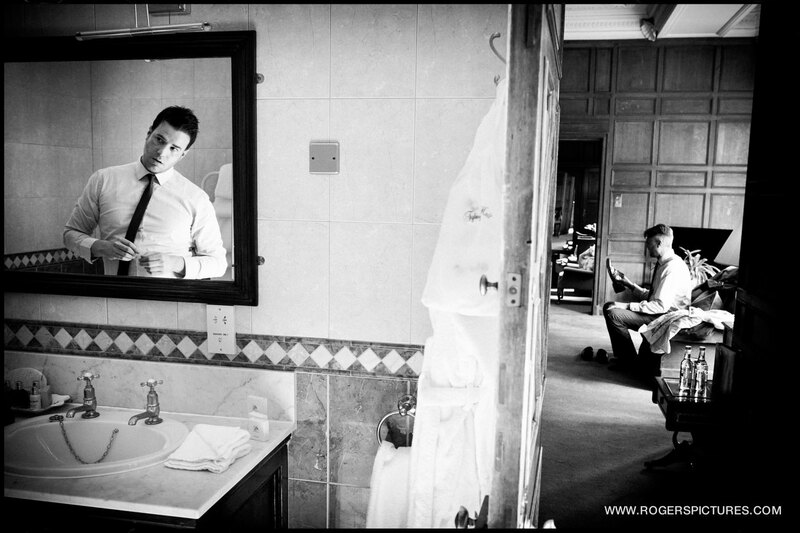 Please get in touch if you’d like to book a photojournalist for your wedding.